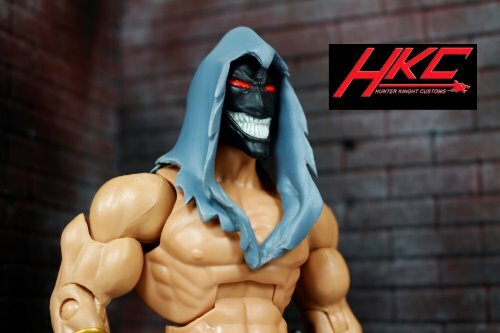 FREE SHIPPING IN THE USA This beautifully detailed "The dude" head inspired by the video by Disturbed is compatible with most Masters of the Universe classics figures and is made by Hunter Knight customs. This is an artist's rendittion, a fan made accessory not affiliated or endorsed by Mattel or any other company. Faker figure IS NOT included, shown for reference purposes only. Visit Hunter's Website at: www.hunterknightonline.com for commission inquiries SHIPPING IS FREE IN THE USA.